You can convert your landline security system to work with cellular by adding a cellular communicator to your system. You must also upgrade your alarm monitoring plan to include cellular service. The cellular communicator will then need to be activated by your alarm monitoring company. By today's standards, landline communication is extremely primitive for an alarm system. With a landline connection, any communication to or from the alarm system will take place at a very slow rate. Additionally, the panel will be unable to sync with an interactive service platform, such as Total Connect. With cellular communication being the most reliable communication path available for an alarm system, it's no wonder that many users want to upgrade. 1. Obtain a cellular communicator. Before your system can use cellular communication, a cellular communicator will be needed. Make sure that the communicator you choose is compatible with your alarm system. We strongly recommend choosing a 4G or an LTE communicator if possible. This is because, unlike 3G services, both 4G and LTE services should be supported by cellular companies for many years to come. 2. 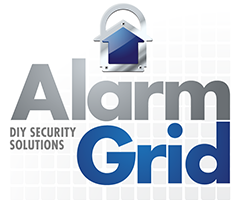 Power down your alarm system. You can power down your alarm system by first disconnecting its backup battery and then unplugging its transformer from the wall outlet. Make sure you perform the steps in that order to avoid any electrical issues. When powering the system back on later, it's usually recommended to plug in the transformer before reconnecting the backup battery. Some panels, like the Lynx Touch, recommend plugging in the battery first, then the transformer. 3. Install the communicator. Follow the steps specific for your security system to install the new cellular communicator. During this time, you should write down the MAC and CRC codes, or the serial number, listed on the communicator. You will need this information when you are activating the communicator. You can also unplug the landline connection that the system was previously using. 4. Contact your monitoring company. You will need to contact your monitoring company for two reasons. The first is so that you can upgrade your monitoring plan to include cellular service. The second is so that they can activate the cellular communicator. To activate the communicator, your monitoring company will need to know the device's MAC and CRC codes, or its serial number. Please note that upgrading to cellular will most likely result in an increase in your monthly monitoring rate. This is necessary for covering the cost of cellular service, which is paid by the monitoring company to the cellular service provider.